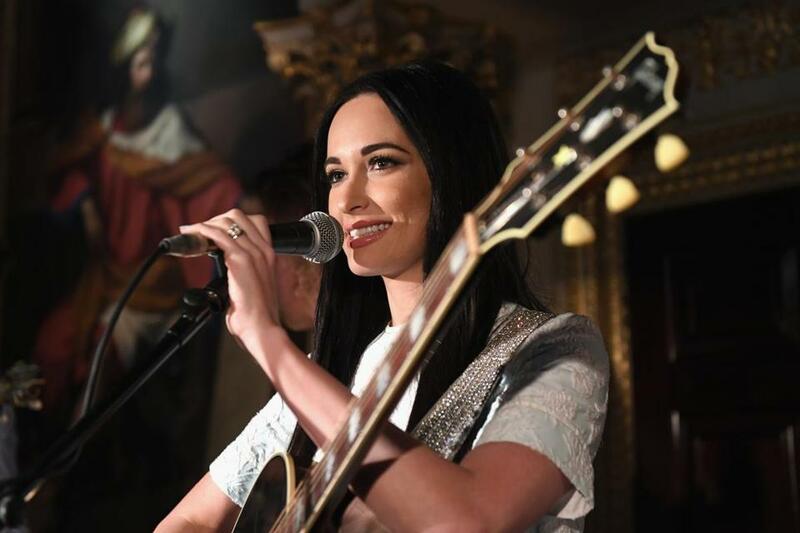 Kacey Musgraves performs Saturday at the Boch Center Wang Theatre. Hey there Weekenders! It’s another weekend stacked with all sorts of — [checks weather]. Oh. I see. OK, so it’s not looking too good out there; but then again, nothing about this approaching “storm” is carved in ice just yet, so I’m just going to proceed like this ballyhooed foot of snow will amount to something more like the glass of water next to my bed that I spill every morning. Which reminds me we’re almost out of glasses. This weekend’s got everything from geopolitical thrillers to experimental tap dancing to local SMILFs done good. Read on, pray for sleet relief, and save me some French toast, will ya? BEST KACEY: “Not since Taylor Swift has a country star seemed so primed for pop stardom,” wrote Globe contributor Terence Cawley back in March upon the release of the latest boundary-bending album from erstwhile country upstart Kacey Musgraves. “Golden Hour” is a “dreamy, blissful album of love songs unlike anything she’s ever recorded,” he wrote. And while her albums are indeed eat-the-whole-bag good, the stage is where Musgraves’s unique light truly shines. On Saturday she’ll make her gig at the Boch Center Wang Theatre feel like an intimate affair and a glimpse of pop history in the making, all at once. Get tickets now. POP SMARTS: Elsewhere in Saturday night feel-all-right jammage, Boston’s beloved power-pop purveyors Guster (who will soon be all up in your earbuds with a shape-shifting new album called “Look Alive”) are coming to the House of Blues. If you’re hoping The Weekender has the skinny on any secret shows (like they did two years ago for the band’s 25th anniversary), I am devastated to disappoint. I can tell you that remaining tickets for this show with opener Henry Jamison are mega-scant, so get to clicking. DUMB & DUMBER: At the movies this week you can catch “Stan & Ollie,” the new BBC-produced biopic that goes behind the curtain on legendary comedy duo Laurel & Hardy. Tom Russo gives it three stars, right over the head. “Steve Coogan and John C. Reilly do such phenomenal, studied work in donning the bowlers of Laurel and Hardy,” he writes, “this one is worthwhile viewing, no matter how lightly it might tread.” It’s another nice mess ( “fine mess” is a Mandela-effect misquote, you know) from Jeff Pope, the Academy Award-nominated screenwriter who penned the adaptation of “Philomena.” Now screening. LOVE STORY: Far from the multiplex is “Cold War,” the black-and-white stunner from director Pawel Pawlikowski (“Ida”), which “traces the arc of a relationship that bends to both the pressures of totalitarianism and the hedonism of the West,” according to Globe film critic Ty Burr, who awards it an enthusiastic four stars. “Beginning in post-World War II Poland and crisscrossing the Iron Curtain over several decades and many hairpin curves of the heart, the movie floats the heresy that all love is political, defined against the structures of freedom or fear under which we live.” A “ravishment, a cinematic feast for the senses,” it’s now screening at Kendall Square. PUNCHING UP: You might recognize DeRay Davis’s voice from between tracks on Kanye’s “College Dropout” album (or as Leonard on “The Boondocks”), or a lot more recently from his turns in the “Barbershop” franchise, his 2017 Netflix special “How to Act Black,” and hosting VH1’s “Hip-Hop Squares.” (He’s also that guy you see on Comedy Central all the time.) The perpetually rising comic and “professional slap boxer” brings his fiery stand-up set to the Wilbur Theatre on Saturday. (And please note: If you’re prone to storming out, I’d recommend staying stormed in.) Tickets here. Michelle Dorrance’s Dorrance Dance is at the Cutler Majestic Theatre Saturday and Sunday. TAPPED IN: The most exciting tap crew on 24 feet is returning to Boston this weekend. On Saturday and Sunday, Dorrance Dance (led by the adventurous tap visionary Michelle Dorrance) brings the Boston premiere of “Myelination” — a new work for 12 dancers and live musicians — to the Cutler Majestic Theatre. As long as you let them be the ones wearing the tap shoes, this show is well worth braving a slippery sidewalk. Grab tickets for this World Music/CRASHarts presentation here. SET PIECES: Elsewhere in visionaries, the ICA is hosting jazz master Jason Moran in an unexpected context — with his first-ever museum exhibition. Writes Globe art critic Murray Whyte, “The show — and the ICA, and especially the Walker Art Center in Minneapolis, which created the show and started this whole thing in the first place by bringing Moran inside as an artist in residence a dozen years ago — makes a declaration: that difference matters, and that the old rules of what belongs in an art museum are dissolving by the day.” An assembly of “slightly haunted” installations that combine sound, light, and sculpture into something “convivial” but sacred, it’s on view through Jan. 21, and Moran’s own NEC Slugs Ensemble gives a performance at the museum on Sunday at 2 and 3:30 p.m. Find tickets and more information here. SCREEN TEST: On stage this weekend, you can catch the return of Chicago-based Manual Cinema (who brought the genre-dissolving “Ada/Ava” to Boston last year) as ArtsEmerson presents the troupe performing its newest work, “The End of TV.” Employing shadow puppetry, live actors, a full band, a green screen, and an overhead projector, it’s a show about the “threat of loneliness — and the promise of connection” that “blurs the line between live performance and film,” according to Globe contributor Jeremy D. Goodwin. It’s on stage at the Paramount Center through Jan. 27. Find tickets here. FOR KICKS: And at the Lyric Stage this weekend, you can catch Sarah DeLappe’s breakthrough play (which was a finalist for the Pulitzer in 2017), “The Wolves,” about a girls’ soccer team in the suburbs. Globe theater critic Don Aucoin loved it. “DeLappe’s uncanny grasp of the everything-at-once pace of adolescence and the hectic rhythms of teen-speak comes through in A. Nora Long’s first-rate Lyric Stage production of ‘The Wolves’,” he writes, “and so, crucially, does the playwright’s understanding of the social and psychological underpinnings of all that seemingly aimless talk.” It’s on stage through Feb. 3, but this team’s worth catching in warm-ups. Tickets here. OR STAY IN! You can’t say I didn’t try. But let’s say that this whole snow thing has you “trapped” on the couch all weekend. You’re still in (proverbial) good shape. 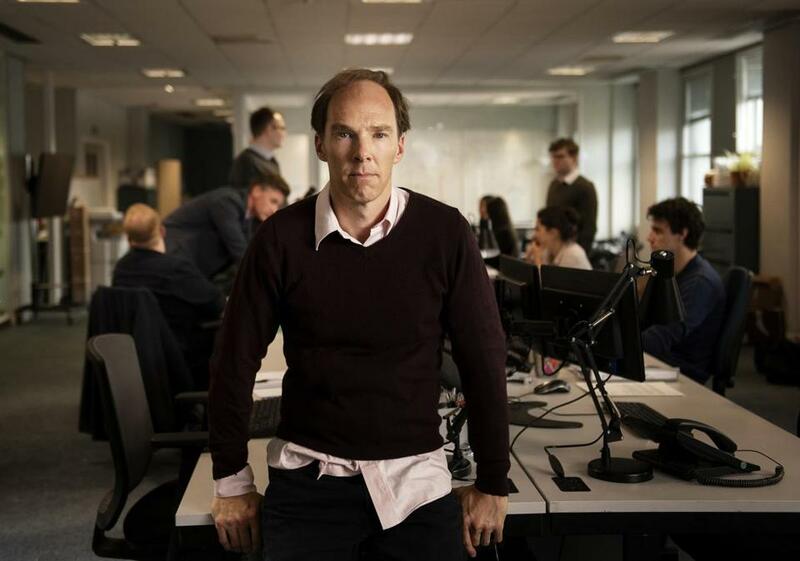 If this week hasn’t brought enough unsettling world news into your household, you can catch HBO’s presentation of the Brit-ruffling drama “Brexit,” which goes behind the scenes of the Leave campaign, and makes the whole debacle slightly more bearable with a dash of Cumberbatch. That’s Saturday at 9 p.m.
And later that night, Rachel Brosnahan (Miss Maisel if you’re nasty) hosts this week’s episode of “Saturday Night Live,” joined by musical guest and silly-putty transfer of Led Zeppelin, Greta Van Fleet. On Sunday at 10 p.m. on Showtime, you can sample the premiere of “Black Monday” which comes from David Caspe (“Happy Endings”) and Jordan Cahan (“Marry Me”), stars Don Cheadle, Andrew Rannells, and Regina Hall, and revolves around the group of outsiders who caused the 1987 stock market crash. Right after that you can catch the season premiere of “SMILF,” back for its second go-round on Showtime. Globe TV critic Matthew Gilbert says the second season of Frankie Shaw’s unsparing comedy is “a great improvement, with some of the warmth and cohesion that were missing.” That’s at 10:30 p.m.
And that, soon to be shoveling Weekenders, is all I’ve got in the forecast for you this week. Be careful out there, whatever goes (or comes) down. And no matter how you spend this wintery weekend, make it one you’ll miss come Monday.